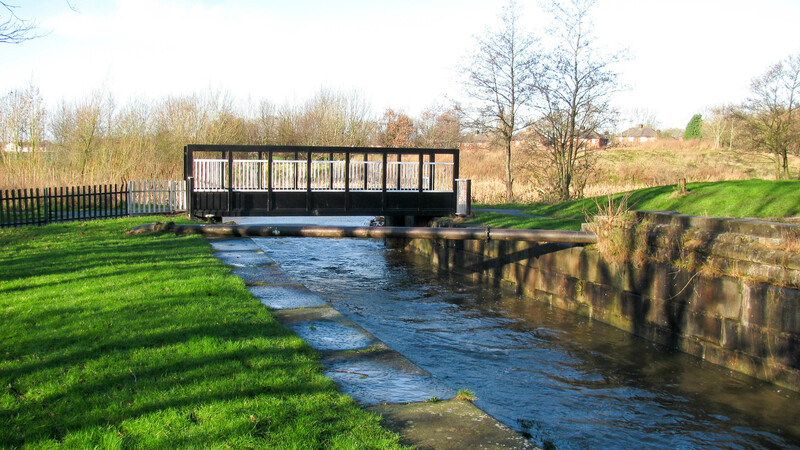 A footbridge carries the towpath across the top of the Old Double Locks. Immediately beyond is the junction which marks the end of the main line of the St Helens Canal. To the right is the Blackbrook Branch which extends around 1km (just over half a mile) to the north. To the left the Gerard’s Bridge Branch continues closer to St Helens.